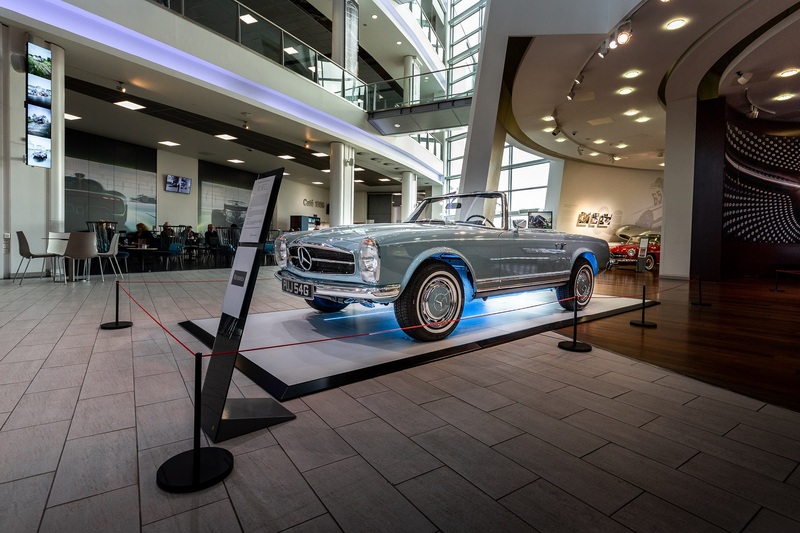 Mercedes-Benz World is displaying its first Hemmels motorcar for display at its facility in Weybridge, UK. 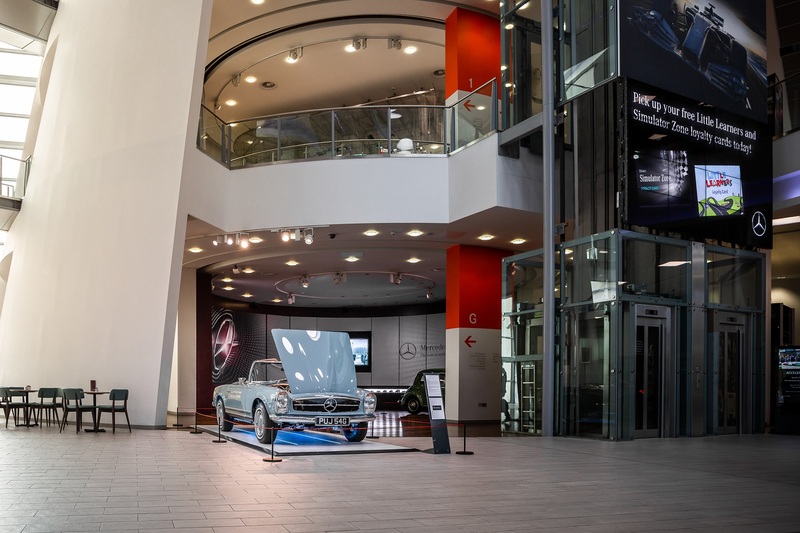 The motorcar, a 1968 W113 280 SL Pagoda, is prominently featured in the main reception area as visitors enter this prestigious location. 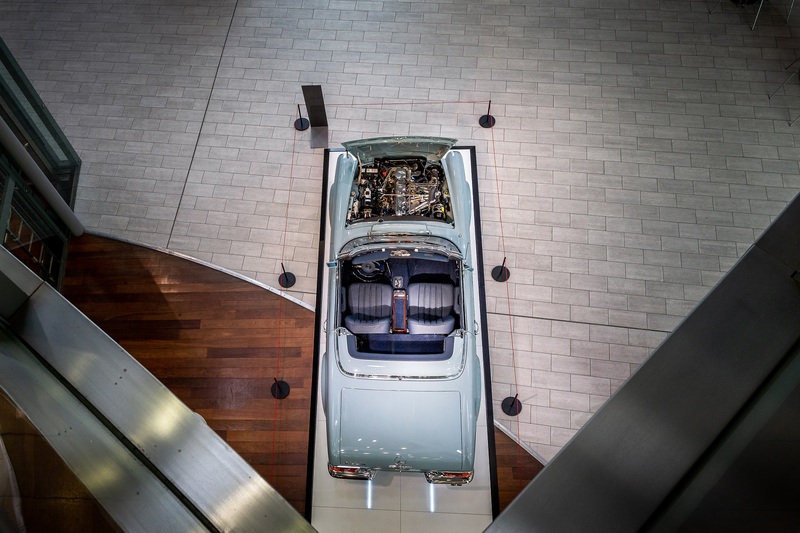 The restoration was commissioned by British racing car driver Paul Rees who chose to finish the car in its original Horizon Blue paint colour with a new Navy Blue leather interior. 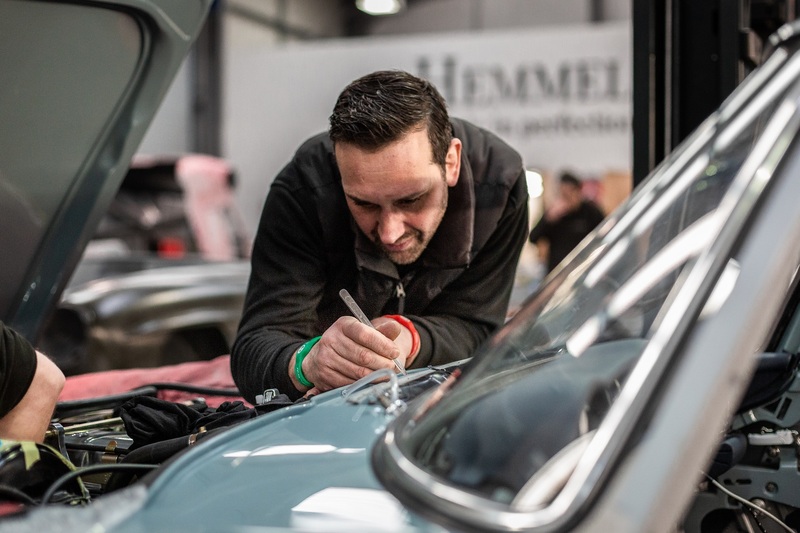 The restoration was completed at Hemmels’ bespoke facility in Cardiff, commencing in late 2016 and taking over 4,000 labour hours to complete. The entire restoration project was undertaken by Hemmels craftsmen and women including mechanical rebuild, body work and of course the leather, carpet, linings and hood work as seen in these photos captured during the restoration stages. 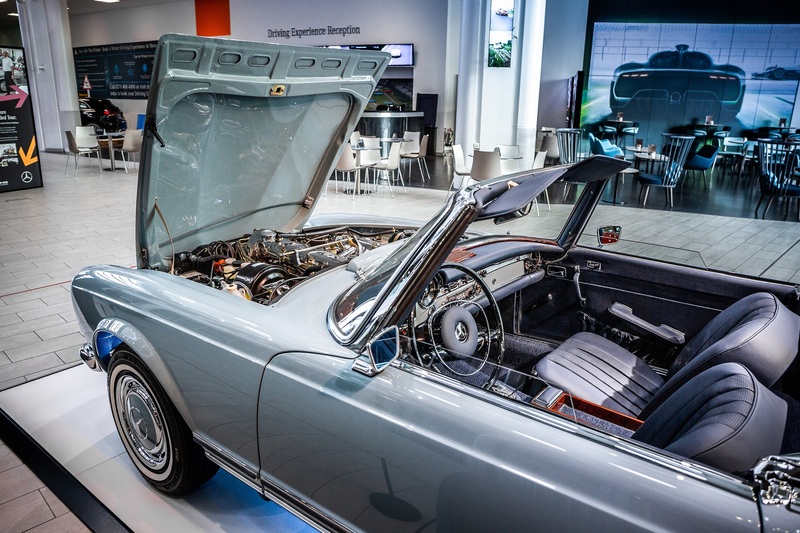 Hemmels restores the cars according to the exacting standards of its trademarked Neugeboren (“newborn”) Process where every car is fully dismantled and rebuilt from its bare metal beginnings over a 52 week period. Like a new car purchase, a full 12 month parts and labour warranty is included along with servicing options. 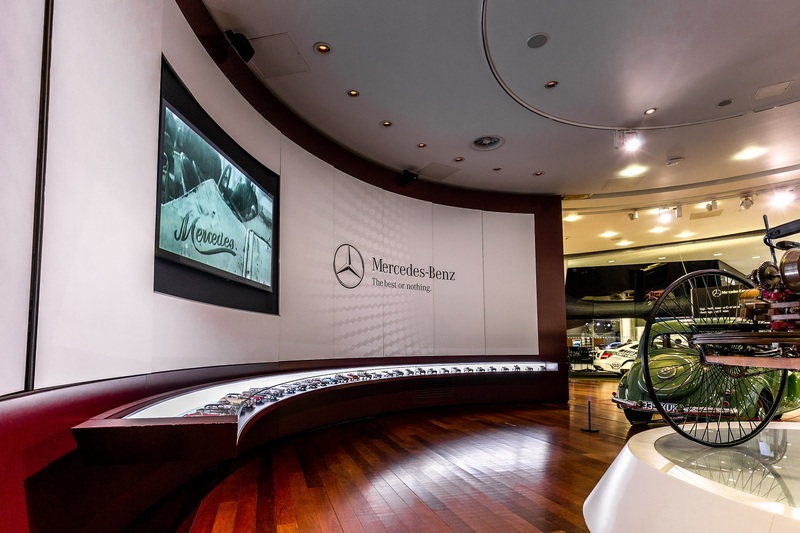 Mercedes-Benz World has a fantastic display of classic and rare along with interactive exhibits and driving experiences. The site was built on the same location as the famous Brooklands racetrack, which opened in 1907 and was the world's first purpose-built motor racing circuit. 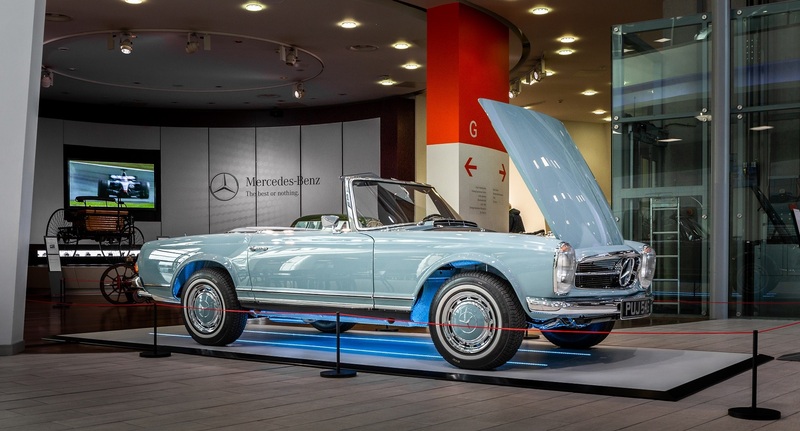 This W113 280SL Pagoda is on display at Mercedes-Benz World, Brooklands until the summer of 2019.